Presented in an antique styled wooden gift box, the Wine Gifts – Trio of Wine Antique Gift Box allows you to choose your preferred bottle choice. 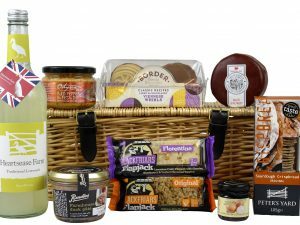 From a range of budgets and tastes we have something to suit everyone. If you’re looking for wine gifts then the Trio of Wine Antique Gift Box is ideal for you. 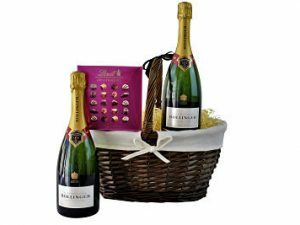 We have chosen some of our favourite wines, prosecco and champagnes to create a special selection in a range of prices to suit everyone’s budget. 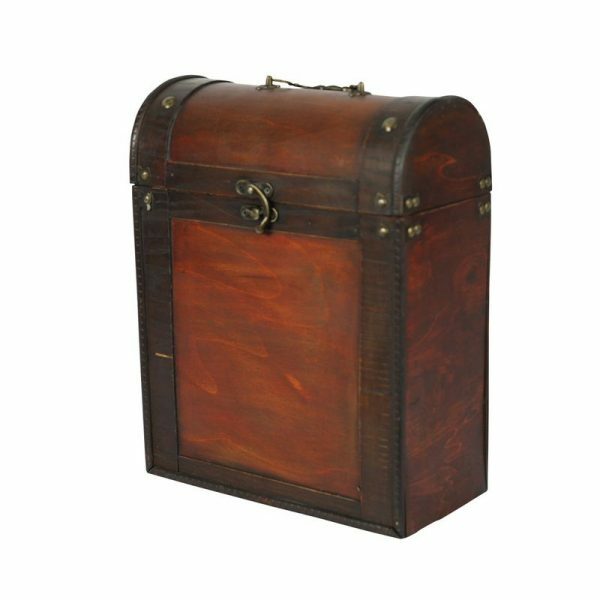 Choose your preferred choice of bottles to be presented in an antique styled wooded gift box, its rich dark stain gives the box it’s aged antique look. The brass clasp locks securely in place keeping your bottles secure and upright. A superb box that allows the recipient to use again for many different purposes. Les Richoises Syrah, Rose 12.5% 75cl – Strawberry, raspberry and lavender, peachy aromas. Etoile De Nuit Sauvignon Blanc, White 12% 75c – Light and aromatic. Crisp and refreshing with lively grapefruit flavours. Alzar Malbec, Red 12.5% 75cl – Rich forest fruits, plum and delicious cherry flavours. El Rastro 13% 75cl – Spicy with lush plum and ripe berry flavours. Vina Maipo Cabernet Sauvignon 12.5% 75cl – Medium bodied with Cassis, blackberry and chocolate aromas. Castillo Del Sabio Tempranillo – 13.5% 75cl – An elegantly rich red berry flavour, complemented by warm spice and sweet herb notes, finished with a hint of soft vanilla. Cortebella Pinot Grigo, Delle Venezie 12.5% 75cl – Dry and fruity with a hint of Chamomile. Luis Felipe Edwards Reserva Chardonnay 14% 75cl – Elegant, gently pressed to preserve all natural freshness and varietal fruit characters. Etoile de Nuit Sauvignon Blanc 12% 75cl – Crisp and crunchy gooseberry style flavours. Louis Raynald Chateauneuf du Pape 13.5% 75cl – Complex and enticing ripe black fruits, spice and leather. Fruity and well rounded. Graffigna Malbec Reserve 13% 75cl – Elegant and intense. Ripe berries, black pepper and toasty notes. Heritage Cotes du Rhone 14.5% 75cl – Spices and notes of rich fruit, silky and fresh on the palate. Bottega White Gold. Vino Spumante Pinot Nero Sparkling Wine. Brut 12% 75cl – Delicate, flowery with hints of white fruit and dried fruit. Dry, velvety and fresh. Bottega Rose Gold. Rose. Vino Spumante Pinot Nero Sparking Wine. Brut 11.5% 75cl – Fresh red fruit and notes of strawberry, cream and vanilla. 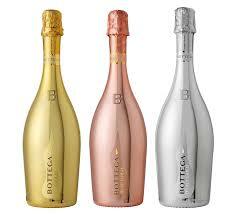 Bottega Gold. Vino Spumante Sparking Wine. Brut 11% 75cl – Fresh and crisp with wild flowers and citrus. Moet & Chandon Champagne 12% 75cl – A fresh crisp palate reveals white-fleshed fruits (apple, pear, white peach), citrus fruits, floral notes and elegant hints of brioche and fresh nuts. Taittinger Champagne 12.5% 75cl – Dry and of great elegance and finesse. Delicate with citrus and light toasty characters. Bollinger Champagne 12% 75cl – A combination of velvety bubbles and flavours of pear, brioche, spice and fresh walnuts.